The state’s largest anti-poverty organization raised $674,000, setting a new fundraising record, this month to support its 20 social programs. Eva’s Village raised the funds at its “Visions of Hope” benefit gala held at The Grove in Cedar Grove on November 2, 2017. “The generosity of our funders and donors makes it possible for Eva’s Village to offer a full spectrum of care to our clients while they heal and work towards long-term stability,” Heather Thompson, chief development officer at Eva’s Village, said. Eva’s Village topped last year’s fundraising record by almost $35,000. The nonprofit will use the funds to support its 20 programs that provides assistance to thousands of men, women, and children every year. Programs range from food, shelter, recovery and medical care, education, and job training. “Eva’s Village relies entirely on private donations to support many of its programs including its Community Kitchen, its free medical and dental services, and the childcare and education programs for children living in our facilities,” Thompson said. In 2016, Eva’s Village served 500,000 meals, provided shelter and housing to 500 adults and over 100 children, provided medical and dental to the needy through 5,200 visits to its clinic. It also helped 2,200 people get on a path to recovery through substance use disorder treatment and mental health programs. This year’s event put a spotlight on the growing national opioid epidemic and the nonprofit’s effort to reduce overdose deaths in Paterson and Passaic County. Several of the nonprofit’s partners were honored at the gala. Dr. Mark Rosenberg, known for pioneering the ALTO (Alternatives to Opiates) program at St. Joseph’s Regional Medical Center, received the “Where Hope Begins” award for reducing the use of opioids to treat pain. Rosenberg has been working with Eva’s Village since April 2016 through its Opioid Overdose Recovery Program that brings the nonprofit’s peer recovery specialists to overdose patients’ hospital bedsides to prod them towards treatment. Eva’s peer Recovery Specialists were recognized with the “Msgr. Vincent E. Puma Award” for their 24/7 work in saving lives through the Opioid Overdose Recovery Program that connects overdosers with recovery treatment. Recovery specialists have steered 480 overdosers towards treatment and support services. The event also celebrated the organization’s 35th anniversary. Msgr. 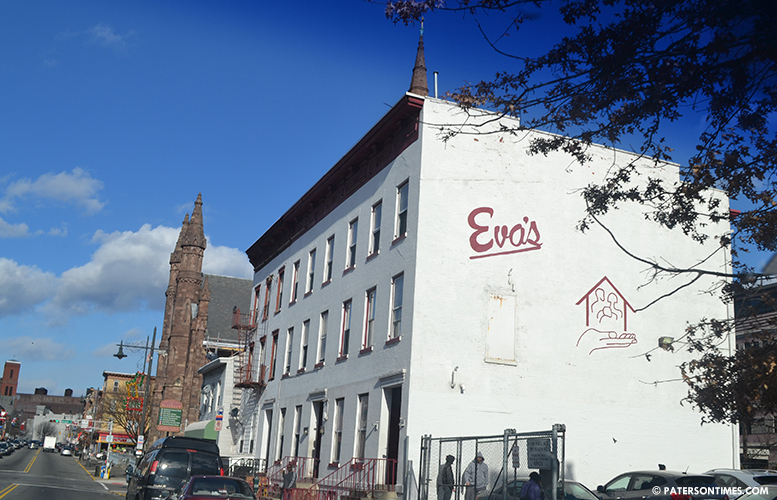 Vincent E. Puma founded Eva’s Village in 1982 to combat hunger in Paterson by providing a hot meal. The nonprofit’s gala was sponsored by a number of local businesses among them Rapid Pump and Meter Service Co., Inc., Machinery Services Corp., and the Railroad Construction Company, Inc. Other sponsors included County Concrete Corporation and Wells Fargo.